What Do You Get With The Sawgrass Virtuoso SG400 ? 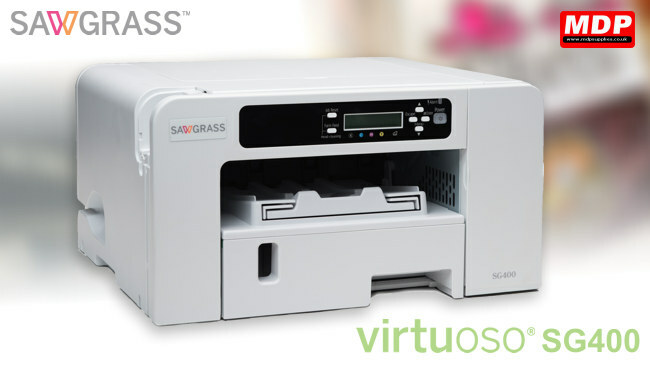 The Sawgrass Virtuoso SG400 is a desktop A4 dye sublimation printer. 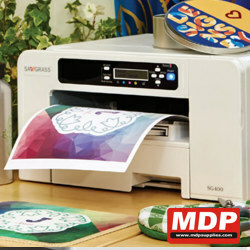 The SG400 is nearly twice as fast than their Ricoh predecessors meaning you can print up to 156 prints per hour. 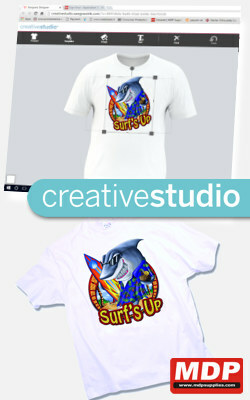 The printer has a built in self cleaning routine ensuring that the printer is running at its optimal performance. The optional Bypass Tray extends maximum media size up to 216x1295mm (8.5x51 inch). The SG400 also has an additional 250 Sheet Paper Feed Tray option, which enables you to keep multiple paper sizes ready to print on demand. The printer is sold with a complete set of full capacity cartridges.